There are a handful of destinations to choose from when planning a vacation. Some people play it safe and travel to a place that is well-known and often talked about in the media, while other individuals prefer to be more adventurous and opt to go to a more discrete destination that doesn’t have a lot of buzz attached to it but that it’s definitely a one-of-a-kind attraction with a lot of historic value, such as the Samothraki island (also known as Samothrace island). 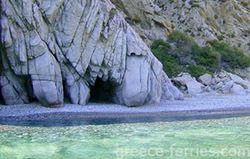 Samothraki is a habituated Greek island that is located in the northern Aegean Sea. According to the 2011 census, its population is currently of 2,859 individuals. It is definitely one of the most rugged Greek islands. Considered by many people to be a hidden treasure in the world, Samothraki is often referred as 'The Island of the Gods.’ Compared to other islands, it is small in dimension--only 11 miles long and 69 sq. mi in size. There are no airports in Samothraki, so you’ll have to travel by both train and boat to get to it. It has been reported that many tourists consider this type of traveling to be a very pleasant and amazing experience, as you get to see the entire Greek mainland and make stops at various cities. Compared to other destinations, Samothraki is a pretty affordable place to visit for those individuals who find themselves to be on a tight budget. For its low costs in food, hotels and transportation, this Greek island is an ideal place for large tourist groups. Once you step foot on this ancient land, you don't have to worry about communicating in Greek, you'll find many people who speak English in almost every facility you enter. From any angle you stand, you'll be blown away at all of the amazing views that this beautiful island offers to every single one of its thousands and thousands of tourists who tend to visit it each year. People don't only get to see Samothraki and enjoy a shopping experience but they also get to learn about its history. Samothraki provides all of its visitors with an educational understanding about a great amount of historic matters that occurred many centuries ago that helped shaped the world we live in one way or another. How great is that? In the past, this mountainous island was first inhabited by the Carians, Pelasgians, Thracians and Persians. It was visited by many well-known historic individuals, such as Philip II of Macedon, Lysander of Sparta, and Lucius Calpurnius Piso Caesoninus (father-in-law of Julius Cesar). It was even visited by the Apostle Paul when he was on his way to Macedonia—he spent one night in this island! This Greek island has many sightsees that attract many tourists annually, such as the Samothrace Temple Complex (also known as the Sanctuary of the Great Gods) where Hellenic and pre-Hellenic religious ceremonies were conducted (it was a cult that was initiated in this island). Also, Samothraki has a very famous artifact by the name of Nike that dates back to 190 BC (it is a 2.5 meter marble statue that is also often referred to as the Winged Victory of Samothrace). 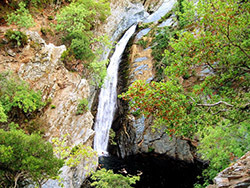 Other attractions that have known to make tourists want to come back is the Fonias waterfall, Mesembria archaeological site and the Samothraki port which is filled with boats and numerous of people who love to fish. There are a couple of traditional restaurants serving authentic Greek food in Samothraki. You can taste famous dishes that are, in most restaurants, cooked in a traditional log-lit oven, such as Pastitsio, Moussaka, Gemista, Phyllo Cheese Triangles, Spanakopita, Horiatiki Salata, Revithosoupa and many others. To get yourself around the island you can either opt to call a taxi, rent a scooter or motorbike, get on the public bus --or you can simply do it the ancient way like the Apostle Paul did, which is by walking. As you can tell, Samothraki is a Greek island that is filled with spectacular scenery that can be enjoyed by both children and adults! Unlike Paris, Rome, New York City, Los Angeles, Madrid and Tokyo, Samothraki is a destination that is hardly talked about in the media, which is what makes it an interesting place to visit and explore!